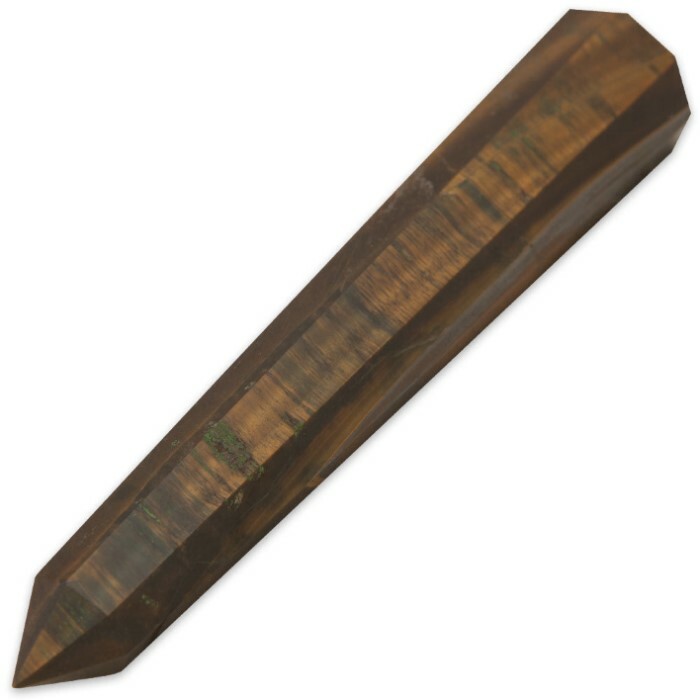 Tiger Eye Obelisk | BUDK.com - Knives & Swords At The Lowest Prices! 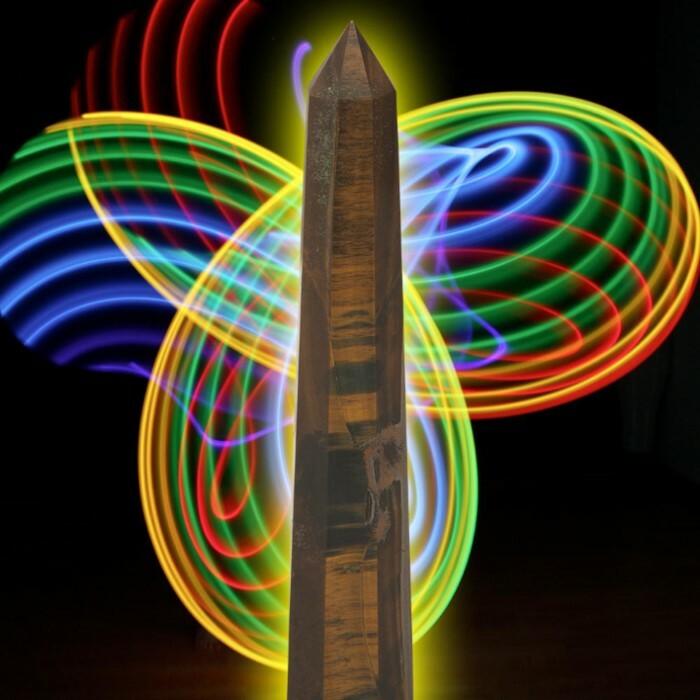 Ward off the negative forces in your life with this beautiful Tiger Eye Obelisk, thought by the ancient Egyptians to be a tower of protection and defense. This miniature obelisk was handcrafted of genuine tiger eye. Now, you can easily disperse negative energy from your environment - wherever you go! These Tiger Eyes rocks are very well cut into obelisks. Some of them are bigger and ticker than others, nevertheless, they are unique... So far I have purchased 4. My 5th order came in broken and BudK is getting it replaced, and I will continue to get more... I am very pleased with these "babies"...they make a good collection. If you are looking for something great and rare, for collection or mystic reasons, try these, you will not regret it. I recommend this product and BudK highly. It's a beautiful piece of stone and I feel a sense of peace ever since I have it in the house. The only problem was that my obelisk came broken in half but if yours arrives just like mines, put it back together, look at how it broke and put lots of Krazy Glue and it holds it good. I recommend it THANK YOU BUDK!!!!!!!!!! !